What is a weed anyway? 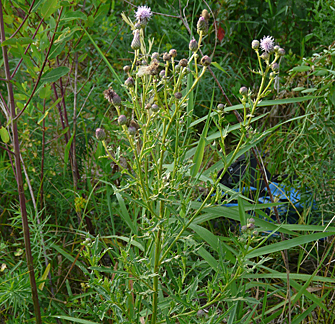 Weeds are tough plants that have developed strategies for surviving. Each “weed” has its own story and purpose in nature. Get ready to say good bye to the word “weed” and become a “weed seeker”. 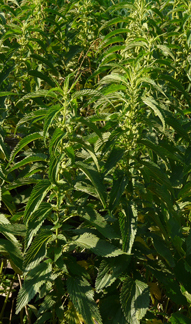 What to do: Click on the “Start” button below to take the Weeds Quiz. Read the description of each plant and then guess its name. This plant was brought to the U.S. by European immigrants. They ground up the root to make a coffee-like drink. 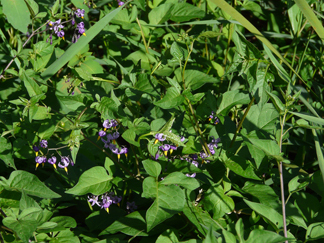 The leaves can be eaten for greens, and wine can be made from the flowers. The seeds are parachute-like and float in the wind. This plant is 3-4 feet high. 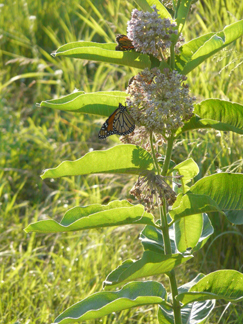 Monarch butterflies lay their eggs on it. The plant “bleeds” a milky sap if a leaf is removed. The seed pods open in the fall, and the seeds are attached to a “silky parachute” allowing them to fly in the wind. It contains glycosides, which can be poisonous to animals. This plant grows in moist rich woodland soils. The leaves do not absorb water and raindrops stick to the leaves. If the sun hits a leaf, they sparkle like jewels. 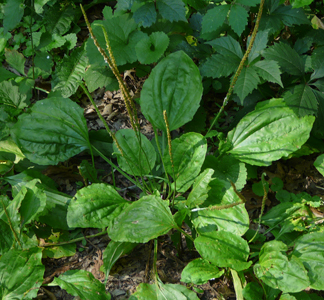 The juices in the stem are used to stop the rash/itching of poison ivy and nettle. Lastly, if you touch a seed pod, the seeds will pop out in all directions. This plant grows in rich woodland soil to a height of 6 feet. If you brush up against it, you'll feel “pins and needles” for hours. However, this plant has many positive qualities. It can be collected and steamed as a spring tonic. During medieval times knights wore vests woven from the fiber of this plant. It was said to protected the knights in battle. 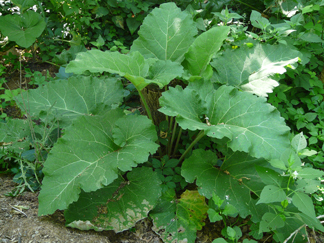 This plant is sometimes called wild rhubarb because its huge leaves are similar to rhubarb. It lives for 2 years, and in the second year the plant goes to seed. The seeds are “hitchikers” and will stick to anything. In fact, the concept for velcro was patterned after a this plant's seed. Finally, the roots of first year plants can be harvested and eaten. It is known as “gobo root”, and is an eaten regularly in Japan. This plant grows in the shade. It has little red berries that are not as poisonous as the root. The root was used by the Romans to murder competing lords. If you have small children, make sure that you remove this plant from your yard. Lastly, it is in the same family as the tomato and potato. There are many species of this plant. 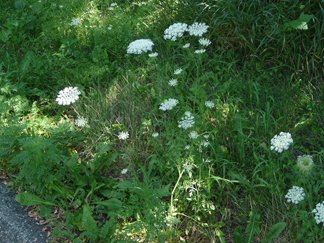 It blooms from mid to late summer in open fields. They are often blamed for causing hay fever allergies, but only because they grow near the real culprit, ragweed. The flowers attract many insects, and you might see a gall (a ball-like area) growing on the stem. Lastly, it is a medicinal plant and is used for a variety of purposes. 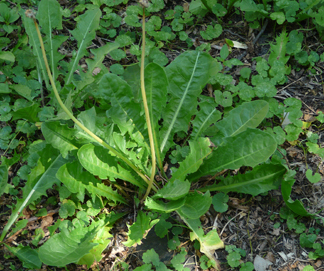 It is a common plant in lawns and along pathways. Native Americans called this plant “white man's foot” since it would grow pathways and roads. 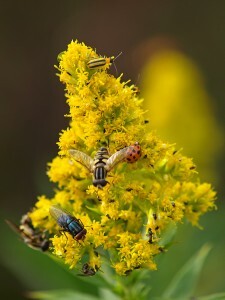 This plant is used as a bee sting/horsefly bite remedy. If you crush up a leaf and place on the affected area, the plant will draw out the toxins and reduce swelling. This plant grows up to 6 feet tall. It lives 2 years. During the second year, the tall seed stalk grows and produces over 150,000 seeds. The soft basal leaves were used by Native Americans for diapers. The leaves were also brewed into a tea for colds. 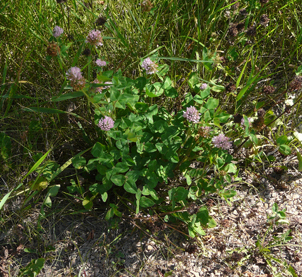 This plant grows in open fields and is planted by farmers as a pasture crop. It is common in lawns. This plant improves the soil because it is able to capture nitrogen from the air and return it to the soil. 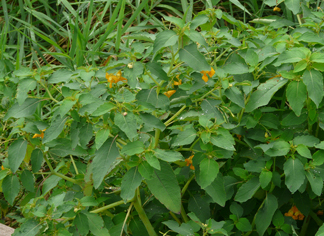 Teas made from it's flowers have many medicinal uses such as a blood purifier. . This plant can cause an allergic reaction to the skin if it is touched. It has a woody stalk and 3 leaves. It is difficult to identify because it changes form through the seasons. In the spring, it is reddish and shiny; in the summer it is green; and in the fall it turns bright red. 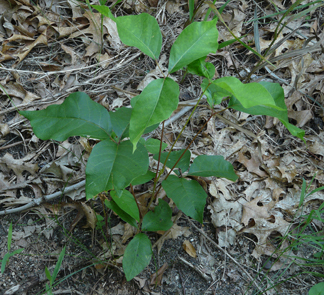 The plant can be a vine or a shrub (1-2 feet high). This plant grows in disturbed areas. It has an extensive root system which allows the plant to recover if it is cut or pulled. Once it gets established in an area, it is difficult to keep out. It makes a parachute seed that will travel in the wind, allowing it to become established a new area. "You are spending too much time watching video games and need to get out in the weeds." "The weeds are calling to you. With more time outside you will improve." "You know some of the weeds, but you need to put in more time studying them." a definite weed seeker! Congratulations! Thx for the quiz! 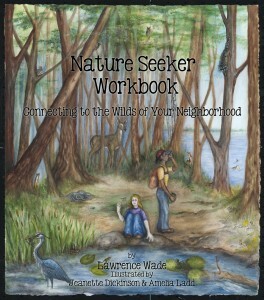 If like to get more info on the indigenous weeds in North America.